The perfect summer day should always include sunshine, good music, and a tall cold drink, especially in Tennessee. In 2009, after decades of being outshined by the golden-brown bourbon of Kentucky, it became legal to distill spirits outside of Lincoln, Coffee, and Moore counties in Tennessee for the first time since the pre-Prohibition era. 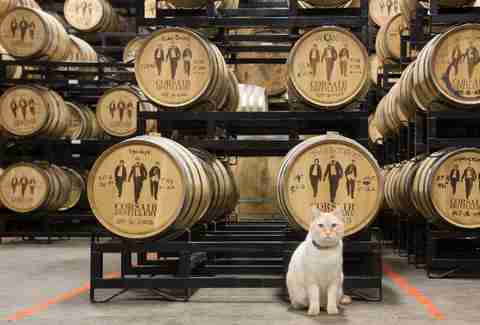 Now the state is a force to be reckoned with in the world of spirits, particularly when it comes to whiskey. All Tennessee whiskey is defined as being processed in the state, made from 51% corn, and aged for at least two years. And for a perfect glass, there’s no need to venture far outside of Nashville, one of the fastest growing cities in America and a quickly developing whiskey destination. Here’s a definitive guide to brand-name, craft, and small-batch distilleries you can tour just a short drive from the Music City. South of the city’s downtown, this trendy neighborhood houses a craft distillery started by two childhood friends who first started brewing beer and wine in their garage. The first Nashville craft distillery since Prohibition, Corsair is now making a name for itself winning over 800 medals in national and international spirit competitions offering everything from gin to quinoa whiskey and pumpkin spice moonshine. You can even learn how to whip up a cocktail of your own at one of the monthly cocktail creation sessions after partaking in one of the many afternoon distillery tours. This craft distillery has an important footnote in the history of Tennessee whiskey. It’s owned and run by Heath Clark, an attorney who advocated for legislation allowing distilling in Williamson County, Tennessee, in 2009 for the first time since pre-Prohibition. Clark is passionate about bourbon, and on the company’s website he cites its elements “grain, water, wood, and fire” as the ingredients that made the American Dream possible. Now the craft distillery selects botanicals, grains, and malt to create hand-labeled batches of its Tennessee Dry Gin, New Whiskey, Black & Tan, and Tennessee Bourbon spirits. Tours are offered daily from 11am to 4pm. This small-batch distillery is known for their moonshine, a Tennessee must-have. The distillery employs local moonshine legends Ricky Estes and Ronald Lawson, who’ve been manufacturing it before it was even legal in Tennessee. Their moonshine includes batches flavored with peppermint, apple pie, and peaches. If you’re so inclined you can even take a mixology class on location to learn from the experts. 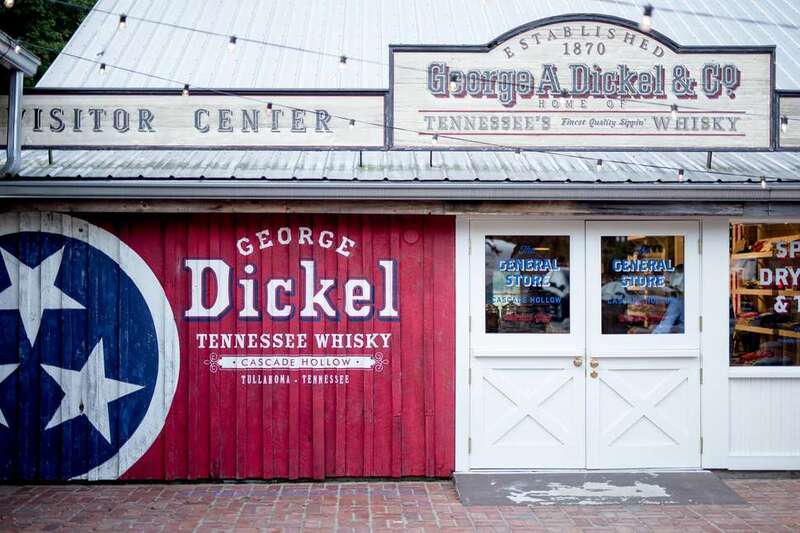 Nestled in the beautiful scenery of rural Tennessee, this 140-year-old distillery was established by Nashville merchant George Dickel back in 1878, and remains one of the oldest distilleries in Tennessee. Fun fact: The distillery operated secretly during Prohibition touting itself as a medicinal spirit factory outsourcing their manufacturing to Kentucky. 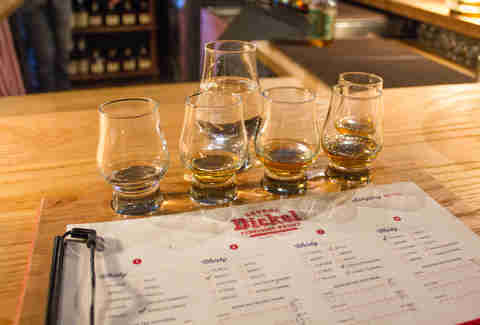 Now the brand offers a wide range of traditional hearty whiskys and new infusions including an aged 90 proof, a chill-filtered smooth rye, and Hot Dickel, a spicy Tabasco hot sauce-infused whisky. Feel free to stock up on funky souvenirs at the gift shop that mimics an old-school country general store, after enjoying the one hour tour offered daily. Whatever you do, just don't argue that they should spell Dickel whisky with an "e" -- despite producing American hooch, the company prefers the Scottish traditional spelling. Leiper’s Fork whiskey is nod to the way frontier American settlers with limited access to barrels made whiskey. 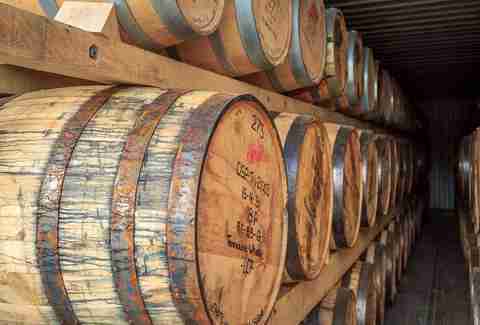 Leiper’s Old Natchez line is clear and untouched by oak barrels. It has a higher percentage of barley than most Tennessee whiskeys, mimicking whiskeys from Scotland and Ireland. Housed in a barn fashioned from a 200-year-old cabin, this distillery brings historical frontier tradition to this prominent Nashville suburb. You can take in the whole thing on a comprehensive tour for just $10. 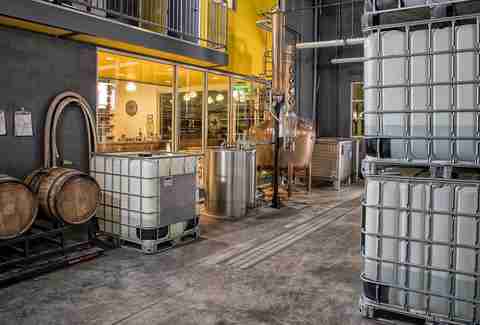 Started by forensic scientist Bruce Boeko, this distillery housed in a modern building in Nashville’s burgeoning hot spot is just two years old, but it’s already gaining notoriety for its sweet flavored spirits. Its best seller is its Naked Biscuit Sorghum, a clear spirit distilled from sweet sorghum sugar cane grown in Tennessee. It also features a fig and chocolate–flavored Tennessee Waltz Whiskey and a honey-spiced liqueur. Founded by German immigrant candle maker Charles Nelson and later taken over by his wife Louisa, Nelson’s Green Brier Distillery’s tradition is now carried on by his two great-great-great-grandsons (talk about a family business). The distillery now boasts whiskeys and bourbons inspired by the pre-Prohibition method made famous by their ancestors, and the pair even created Louisa’s -- a coffee, caramel, and pecan liqueur inspired by their great-great-great-grandmother. Head down for their big Fourth of July bash that just so happens to also be the birthday of their great-great-great grandfather, celebrate a historic family legacy with all-day free tastings. 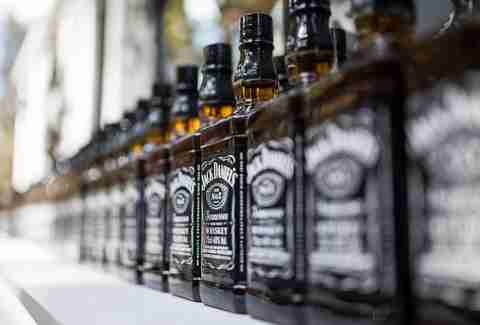 Probably one of the most recognizable brands of whiskey in the world, the famous brand is native to Lynchburg, Tennessee, and was founded in 1866 by businessman Jack Daniel, who apparently learned how to distill from a local preacher. The distillery offers several themed tours including a tasting tour, a motor tour and one accompanied by a traditional Southern meal. Its charcoal mellowed Old. No. 7 is a staple in most bars around the country, but the distillery is also known for Gentleman Jack, an incredibly smooth golden whiskey. The company even has its own specific brand of Tennessee flavor offering lesser-known products such as the hot cinnamon liqueur Tennessee Fire and its sweeter alternative the Tennessee Honey. Located in the quickly developing Nations neighborhood of West Nashville, this distillery is known for creating the American version of Irish Cream. Their Whisper Creek Tennessee Sipping Cream is their best seller, made with 100% aged whiskey blended with 30 all-natural flavors and dairy cream. 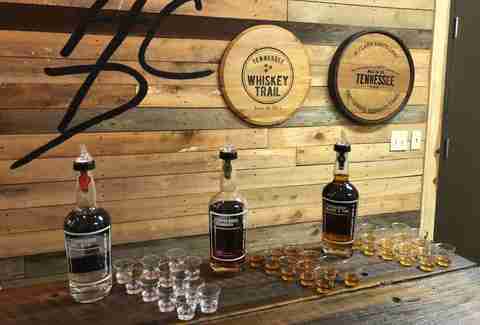 You can also partake in standard Tennessee whiskey fare and gluten-free vodkas on their tasting tours. Started by a radiologist and an engineer, these brother-in-laws wanted to infuse the tradition of Tennessee whiskey with a modern twist. The pair began arduous research on the best techniques and methods resulting in their Clayton James Whiskey featuring less impurities than your traditional whiskey and distilled in copper pots before it reaches the barrel. Sip a cocktail during their tasting tours available Monday through Saturday. Genelle Levy is a Thrillist contributor.